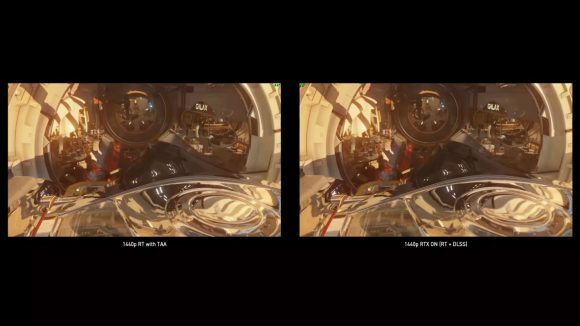 The director of benchmarks for UL, the company behind 3DMark, has stated that it is going to be releasing an Extreme version of its Port Royal real-time ray tracing benchmark. The Port Royal Extreme test doesn’t have a release window as yet, but it’s definitely going to come after the release of a DLSS-supporting version of the 3DMark test in February. During the Nvidia CES press conference Jen-Hsun Huang used the Port Royal benchmark on stage to highlight the power of its Deep Learning Super Sampling (DLSS) feature. It offers compatible graphics cards the ability to display a high resolution image, with state of the art, AI-powered anti-aliasing and still be able to run at a higher frame rate. Because of that extra level of performance DLSS can provide, and because it’s strictly limited to Nvidia graphics silicon, 3DMark isn’t looking to add DLSS-support to the benchmark component of the test when it launches in February. Instead UL is looking to add it as one of the software’s feature tests which don’t pop up on the standard 3DMark Port Royal benchmark database so as not to unnecessarily skew results. Though you might also say the only GPUs capable of running the full Port Royal ray tracing tests use the same limited Nvidia silicon, but the benchmark has been built primarily to support Microsoft’s DirectX Raytracing (DXR) and not specifically Nvidia’s RTX implementation of it. 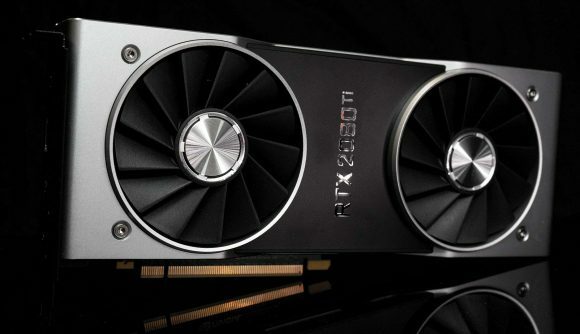 As such any graphics card that is capable of supporting DXR, whether it has hardware-based acceleration baked into its GPU or not, will be capable of using the Port Royal real-time ray tracing benchmark. That means once AMD, and eventually even Intel, make the decision to run the DXR rule over their respective GPU architectures, that we’ll be able to test all the different implementations side-by-side. Though that’s admittedly probably a while off given how standoffish AMD has been about ray tracing support and the fact that the Intel Xe graphics cards are still at least a year away from release. Probably more. As for the Port Royal Extreme benchmark, well, that’s going to be a toughie.